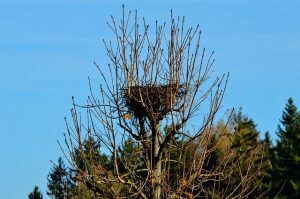 Is it illegal to move a bird’s nest? In the UK, birds are given a good deal of protection under the law. While protection of our wildlife can only be a good thing, legal regulations can make it tricky when dealing with pest birds. While most wild birds are given complete protection by the law there are a few exceptions to allow for dealing with pest birds – or to cover circumstances out of your control. Britain’s bird laws were put in place to clampdown on activities that saw birds ill treated and killed as a form of entertainment in Victorian times. Keep a wild bird in a cage where it cannot spread its wings. Separate laws are in place to protect game birds around the shooting season. So, the answer to the question of can I move a bird’s nest is ‘no’, not at least until the eggs have hatched and the young have flown the nest and there is no risk of any harm. However, due to problems controlling pest birds it is possible in some circumstances to remove a nest – but only in the case of roof-nesting feral pigeons. In Northern Ireland this extends to house sparrows and starlings. This sort of action is only ever allowed as a last-resort and must be carried out by an authorised person. To make sure you always stay on the right side of the law when dealing with pest birds use an expert firm. Should you have any concerns about birds becoming a pest at your property contact Total Bird Control for help and support.